They look good AND feel good. Buy these Mt. 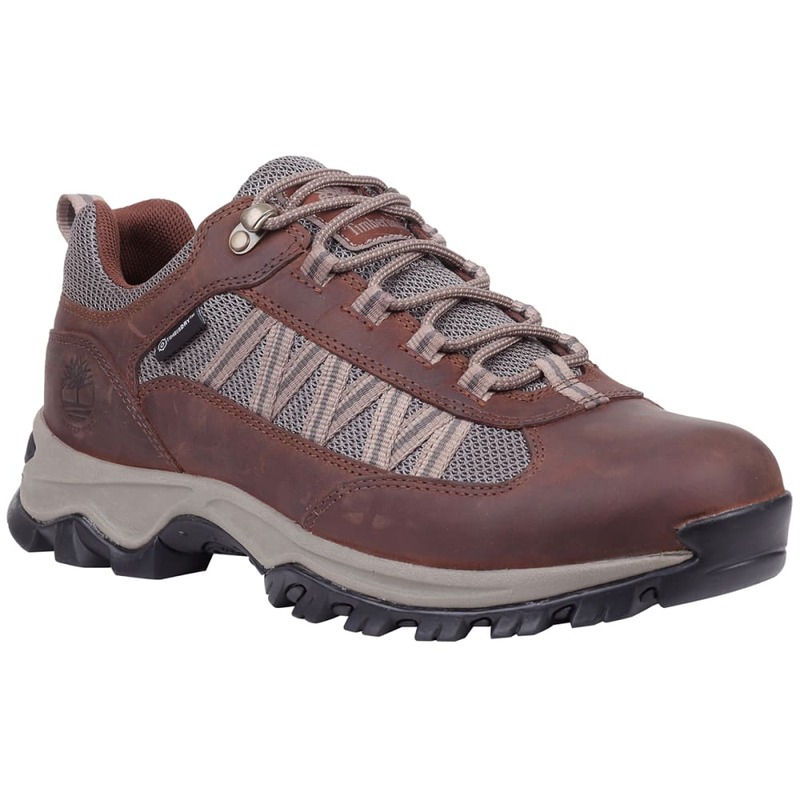 Maddsen Lite waterproof hiking shoes for day hikes, and you'll end up wearing them around town, too. Timberland's waterproof leather footwear uses waterproof impregnated properties that become part of the leather during the tanning process. They also either seam-seal the footwear or use an internal waterproof and breathable membrane to help feet stay dry. Timber-Dry™ waterproof membrane: This product features a Timber-Dry??? waterproof membrane or linings to help keep feet dry, made with 50% PET (recycled plastic bottles). Anti-fatigue removable footbeds provide all-day comfort: Made specifically for people who spend long days on their feet, this exclusive anti-fatigue technology is built into the midsole and uses geometric cone support to provide exceptional standing comfort, shock absorption, and energy return all day.